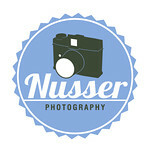 Turning her passion into a career Nusser Photography helps capture the important moments in your life. Based in Albany NY but serves New York City, Long Island, East Greenbush, Schenectady, Troy, Glens Falls, Saratoga, Clifton Park, Half Moon, Malta, Catskills, Hudson Valley, Kingston, and Massachusetts. We specialize in wedding photography, engagement photography, event photography, portraits/fashion, commercial and corporate photography.